A seldom-explored corner of the Bruce Peninsula National Park these lakes attract a variety of wildlife species and offer a unique experience to the avid paddler. On this half-day tour you may see species such as the mink, beaver, sandhill cranes and bald eagles flying above that make this special place their home. 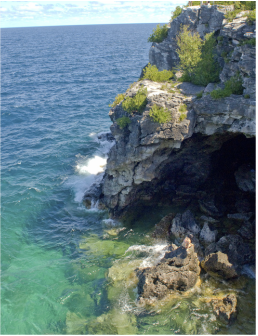 We get off the water and explore the shores and discover karst landforms characterized by surface pitting, glacial striations and sinkholes from when the glaciers once covered this land. 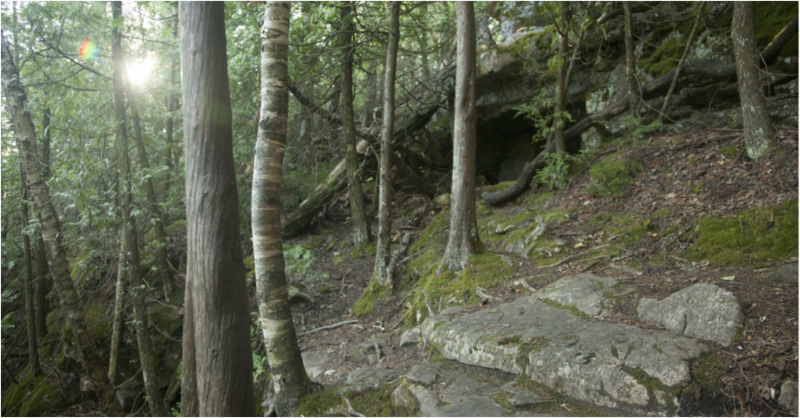 Rare species of ferns and lichens have colonized this area and make for a interesting eco system offering a great place to learn and explore. The deep blue waters and towering cliffs of the Niagara Escarpment make this journey a paddler’s paradise and one for the bucket list. The journey will take you past the most spectacular sights the national park has to offer including wave caves, 1000-year-old cedars that cling to the cliffs, boulder beaches and the famous grotto. The tour concludes at the Cabot Head Lighthouse a historic structure built in 1895 in response to safety concerns mounting at the time. This tour is suited to intermediate boaters as the length and conditions may vary depending on lake conditions and the group’s ability where a shorter tour may also be probable. 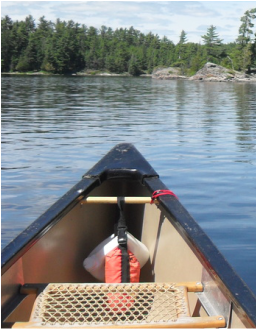 Note: for paddling where lake conditions present to great of a danger the guide reserves the right for an alternative trip plan or location. 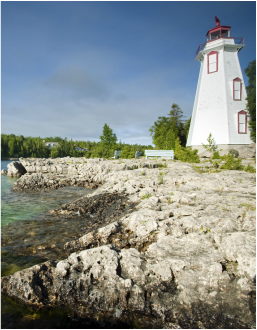 This half-day tour will be spent paddling and exploring the shores and natural inlets crystal clear waters while discovering the nautical and geologic history at the tip of the peninsula. The many shipwrecks that dot the surrounding waters here offer the paddler a great chance to explore and learn about the maritime past. With half a dozen visible shipwrecks you’ll discover remnants of steam tugs and fishing boats that once plied these waters. A great tour for the novice paddler and a chance to explore the peninsulas past and refine your boating skills. CONTACT US AT OUTERVISIONADVENTURETOURS@GMAIL.COM TO BOOK!